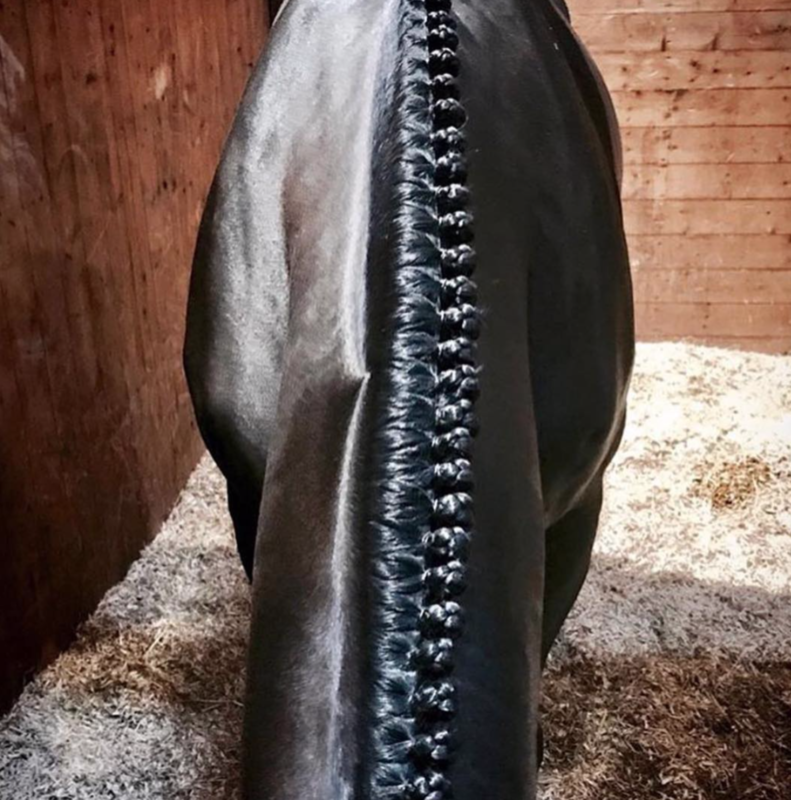 K9 HORSE BRAID MANE & TAIL STYLING MIST features an extra strong stand-up effect, providing twice as much hold and shapeability than human hair spray. A professional working spray that dries quickly and remains workable and moldable, very easy to wash out, style and re-style. Holds its shape even under wet and rainy conditions. Adds long lasting support to the hair style by giving the hair a protective moisture barrier. Leaves the coat full-bodied, with a soft and natural look. Gives the coat exceptional lustre and sheen. Alcohol denat., dimethyl ether, butyl ester of PVM/MA copolymer, octylacrylamide/acrylates/butyl-aminoethyl methacrylate copolymer, aqua, aminomethyl propanol, glycerin, PEG-12 dimethicone, cyclopentasiloxane, panthenol, perfume.